“We knew from the day Isabella was born (August 20, 2011) the struggles that she may face with early admittance to education due to her summer birthday, and we made a decision early on that we would wait until she was compulsory school age (CSAge) before sending her to school. But when the time came to start applying we didn’t anticipate the minefield that was the admissions process for Reception class at CSAge. 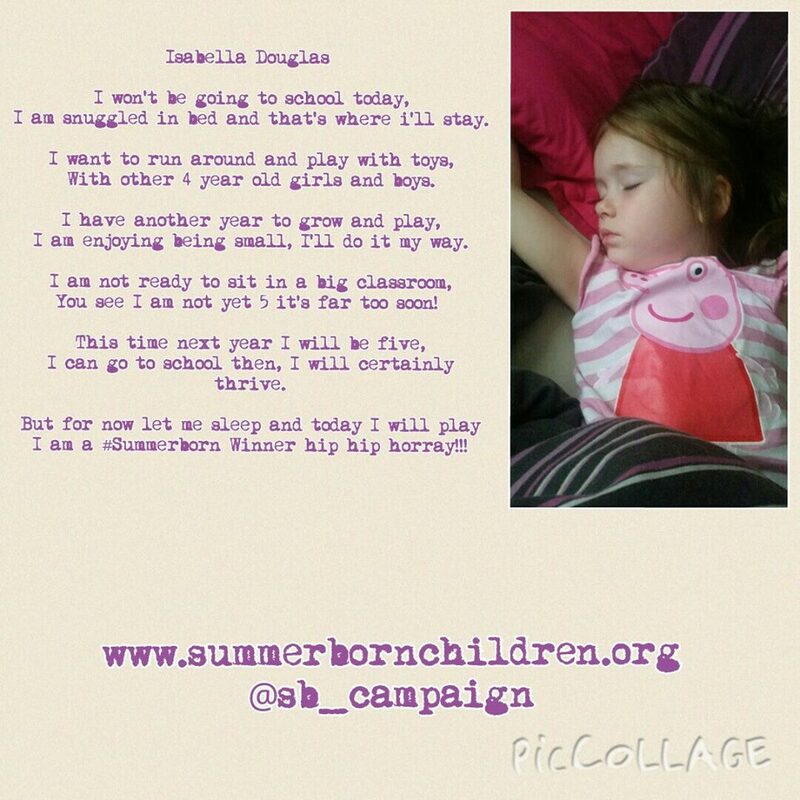 We were advised by Liverpool City Council that Isabella could start at age 4 or miss a year and join Year 1 at CSAge. After explaining that we did not want her to miss a year of education simply for starting school on time, we were advised to send evidence to support our request for “Reception class deferral“, which we did, alongside supporting statements from her likely future head teacher of our preferred school and nursery staff. We also contacted our local MP, Stephen Twigg who, along with his staff, completely supported us throughout our ordeal. A panel of head teachers from across the city deliberated and rejected our request, not once but twice, stating Isabella must enter early at age 4 or be admitted to Year 1 at CSAge. Neither of these were an option for us so we continued to fight. After 12 months of stress and many sleepless nights, we made contact with Cllr Lana Orr (Mayoral Lead for primary schools), who took our case to Joe Anderson, The Mayor of Liverpool. He agreed there and then that Isabella could join Reception class at CSAge in September 2016 and the weight of the world lifted from my shoulders at that very moment in his office. Even better, not only did he agree to our request, but due to wider issues from the Summer Born Campaign being highlighted alongside our own case, he decided to make it a right for all summer born children to have access to Reception class at CSAge, where this is the parent’s wish, and where Liverpool City Council is the admission authority. I couldn’t believe it; not only will Isabella be admitted to Reception class at CSAge, but every other summer born child from now on has the flexibility to do so too – where Liverpool City Council is the admissions authority. Hopefully Liverpool’s enlightened and pro-active approach will pave the way and other admission authorities will follow suit.